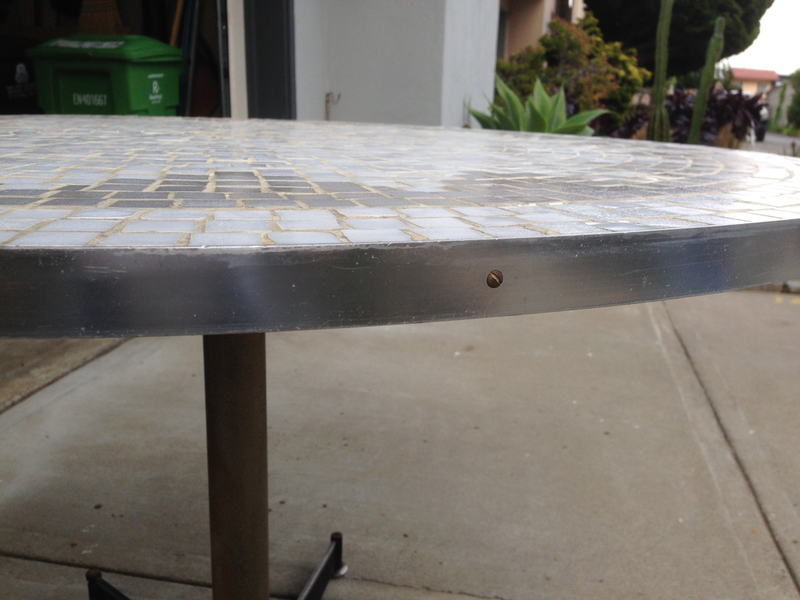 Trendy, vintage, 1960s-era dining table with a mosaic top. 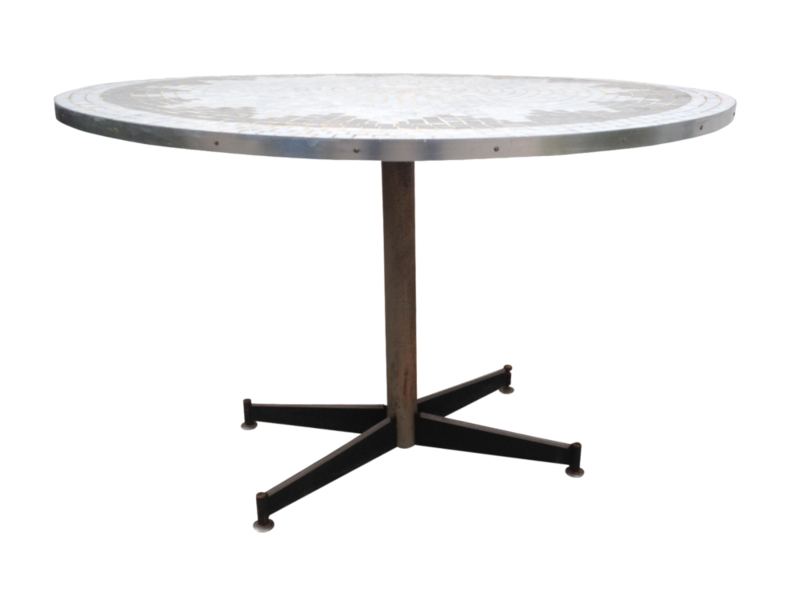 The tile and aluminum build makes this piece great for patio use as well as inside use; well made and sturdy. 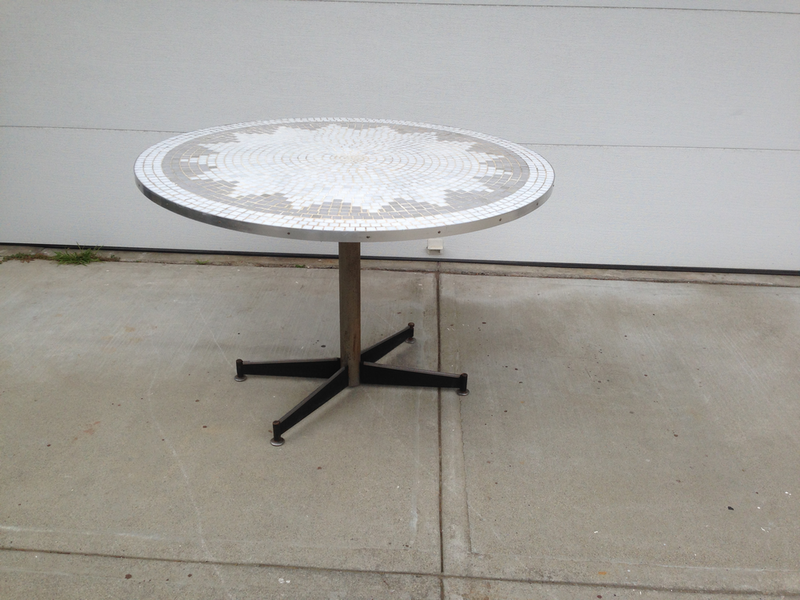 The top features a starburst pattern constructed of 3/4" square, Italian marble tiles. 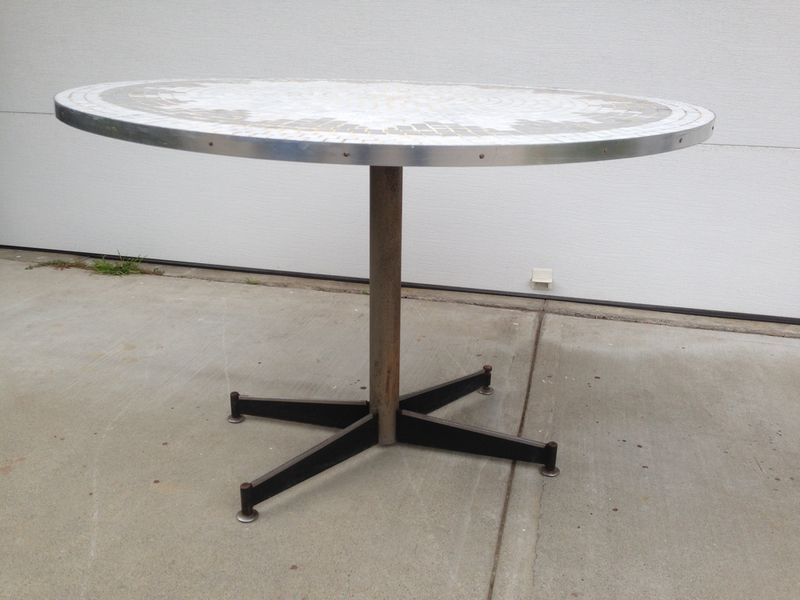 The tops itself features 1" aluminum skirt. There are minor repairs in various places to the grout, but nothing too noticeable. 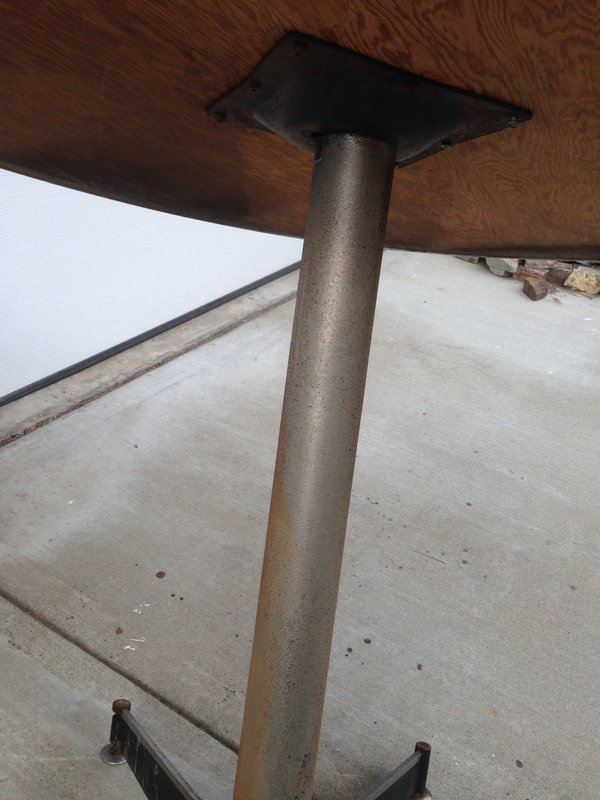 The 4-point base is black painted steel with an aluminum clad top, and a 3" diameter chromed steel shaft. The surface of base shows its age by way of corrosion, but this adds charming character. 1 1/2" round steel feet.